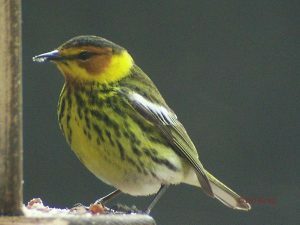 The Cape May Warbler actually has quite an unsuitable name. Alexander Wilson was first to find and describe this species in Cape May, New Jersey during his 19th century natural history expedition. However, the Cape May Warbler wasn’t actually seen in its namesake area again for more than 100 years following Wilson’s discovery. This episode aired on Saturday July 30th, 2016.